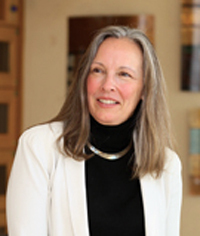 Legal education is too complex, expensive and disconnected, and the American Bar Association has an “effective monopoly” on law school accreditation, according to Gillian Hadfield, a member of the organization’s Commission on the Future of Legal Education. Hadfield, a professor of law and economics at the University of Southern California, shared her opinion on Wednesday in a piece she wrote for Quartz. According to her, legal education does not equip graduates to respond to or create new solutions for serious legal and regulatory needs for citizens and businesses. Instead, for nearly 150 years, conventional law schools prepare graduates to “think like a lawyer” and spot potential legal issues with practical training left to employers. Hadfield told the ABA Journal on Thursday that she’s not speaking for the Commission on the Future of Legal Education, and she does not know if it would recommend her suggestions in the Quartz piece, which has generated some responses since it was published. She thinks that while the ABA was right to raise quality standards for law schools during the beginning of the 20th century, some accreditation standards today put a “stranglehold” on law schools to adopt to a changing legal market. “By reducing the influence of the ABA in determining what a ‘law school’ is and how to qualify a legal professional, access to legal education would become more democratic. This in turn would attract a cohort diverse enough to come up with the new ideas we need in law,” she writes. The second step advocates for a shift in license requirements to focus on “practical wisdom” over book knowledge. “Law would do well to follow the model in medicine: test law students early in their educational careers to make sure they have acquired basic legal knowledge. Then focus ultimate qualification on candidates’ ability to actually listen to solve real legal problems encountered by real clients,” Hadfield writes. The third step advises moving away from one-size-fits-all legal education and recognize that the Harvard Law School model may not provide the best training for all legal services providers. Hadfield mentions the United Kingdom, where people who want legal careers have nine different training paths–including for jobs that don’t require law degrees. “Today’s law schools are increasingly chasing their own tails, with the holy grail still being a coveted job in a big law firm that serves large corporations,” she wrote, noting that prospects for those jobs are shrinking, and recent law school graduates have an average of $140,000 in school debt. “Meanwhile, roughly 90% of Americans dealing with legal matters do so without legal help. And as I have found in my research, even big businesses are unhappy with what is available to them. In a 2011 survey, 70% of global executives reported that law and regulation were the greatest causes of complexity in their businesses,” Hadfield wrote. The ABA Commission on the Future of Legal Education was created by new ABA President Hilarie Bass, who has said that redesigning legal education is one of her key priorities. The release included comments from Maureen O’Rourke, who chairs the council of the ABA’s Section of Legal Education and Admissions to the Bar. They “look forward to working together to ensure that legal education in this country provides the best possible preparation for the nation’s future lawyers,” O’Rourke, the dean of Boston University School of Law, said. Barry Currier, the the ABA’s managing director of accreditation and legal education could not immediately be reached for comment.